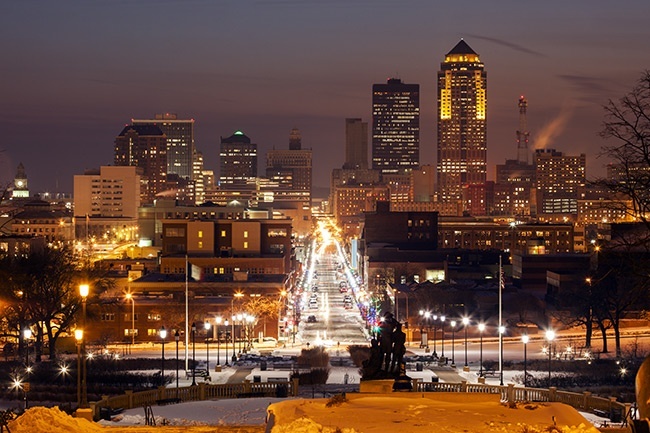 As the capitol of the Hawkeye State and its largest city, Des Moines has always played a critical role not just in Iowa’s economy, but in that of the entire Midwest. The city has been a major manufacturing center for more than a century, and continues to attract business from companies like John Deere, 3M, Bridgestone, and Tyson. Combined with its thriving insurance industry and its access to Iowa’s bountiful farms, this is a recipe for persistent wealth and success. ExpeditedFreight.com adds to this recipe by providing rapid, reliable shipping services, so the economy of Des Moines can continue expanding. Des Moines’s manufacturing sector is a major source of wealth, but it also creates serious challenges, especially when it comes to logistics. The city must truck in countless inputs for manufactures to use, many of which must be delivered from suppliers in distant states or in Canada. If these parts are even slightly damaged on the way, they can ruin the finished product; this is especially true for local auto manufacturers, who need quality parts in order to make their vehicles safe. Thus to serve Des Moines effectively, carriers must accomplish the seemingly impossible task of shipping quickly over thousands of miles without damaging any of their cargo. ExpeditedFreight.com has never shied away from the seemingly impossible. As an express freight company, we have developed a proven strategy for shipping quickly and safely over any distance. This allows us to deliver on schedule to or from any location in Des Moines, along with other towns in the area like Cedar Rapids, Fort Dodge, Marshalltown, Waterloo, and Ames. External Resources - The ExpeditedFreight.com team has coverage in major cities all over the United States and Canada. This gives us the ability to load items in any of those cities in a matter of hours before taking to the road and heading straight for Des Moines. As a result, even if you need a shipment on short notice, we’ll have no trouble getting it to you. Our teams can also unload items coming out of Des Moines, so local manufacturers have no trouble distributing their finished products. Centralized Coordination - ExpeditedFreight.com has a centralized team that maintains contact with our drivers at all times. They monitor the routes those drivers are taking, looking for signs of road closures, traffic, harsh weather, and other developments that can knock a delivery off course. With their help, our drivers can make good time on any route, all while staying below the speed limit and avoiding damage to your items. Driver Diligence - Besides keeping in contact with our drivers, we make sure those drivers have the skills and attitude to do a good job in the first place. We also assign them in teams of two, so that if one driver needs to rest, the other can take over. In this way, we boost safety and speed at once. 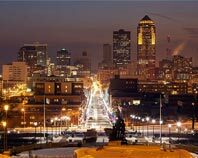 To learn more about shipping solutions in Des Moines and beyond, call ExpeditedFreight.com at (515) 954-7522.